O que é o IONITY? 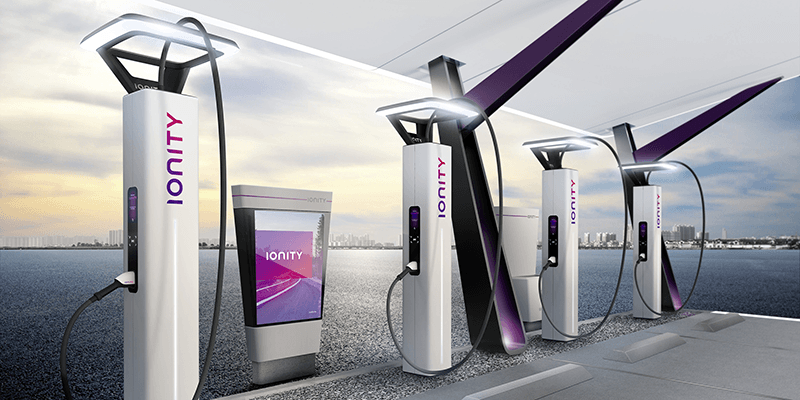 O BMW Group, Daimler AG, Ford Motor Company e Volkswagen Group se uniram para o lançamento da IONITY. Um empreendimento para a implantação de uma rede de estações de carregamento de alta potência em vários países europeus. Em princípio, serão construidos cerca de 400 High-Power-Charging (HPC), ou estações de alta potência de carregamento até 2020, e que tornarão os deslocamentos de longa distância mais acessíveis. Além de marcar um passo importante para a mobilidade elétrica. Um total de 20 estações de carregamento será disponibilizado ao público ainda este ano pela IONITY. Elas serão instaladas nas principais estradas da Alemanha, Noruega e Áustria, em trechos com intervalos de 120 quilômetros de distância, uma da outra. The BMW Group, Daimler AG, Ford Motor Company and Volkswagen Group teamed up for the launch of IONITY. An enterprise for the implementation of a network of high-powered charging stations in several European countries. In principle, about 400 High-Power-Charging (HPC), or high-power charging stations by 2020, will be built and will make long-haul travel more affordable. In addition to marking an important step for electric mobility. A total of 20 charging stations will be made available to the public later this year by IONITY. They will be installed on the main roads of Germany, Norway and Austria, in stretches with intervals of 120 kilometers of distance, one of the other.